Use RATA Studios’ professional level recording studio and equipment to explore sound recording, production and mixing. Students will work collaboratively to develop strong practical and theoretical knowledge of the audio engineering process, with plenty of hands on experience. The course covers signal flow and gain staging, the use of microphones and their differences, compression, equalization, effects and software instruments/MIDI before culminating in an opportunity to record and mix a multitrack session. An introduction to the equipment and signal flow. Students will take a basic recording using Avid ProTools. How sound works, the types of microphones and their uses, gain staging and signal to noise ratio. An exploration of ways to manipulate a recording. The use of compression and equalization. Effect of acoustic spaces on sound recording. Setting levels, using panning and reverb. Mixing multiple tracks together. Originating from the UK, Mike started his professional life as a trombonist and teacher which led to work as a sound technician with the Royal New Zealand Navy band. Upon relocating to Wellington in 2016, he was employed by Scots College to run their world-class professional recording studio, tutoring students and working with external clients to provide technical support and produce recordings. 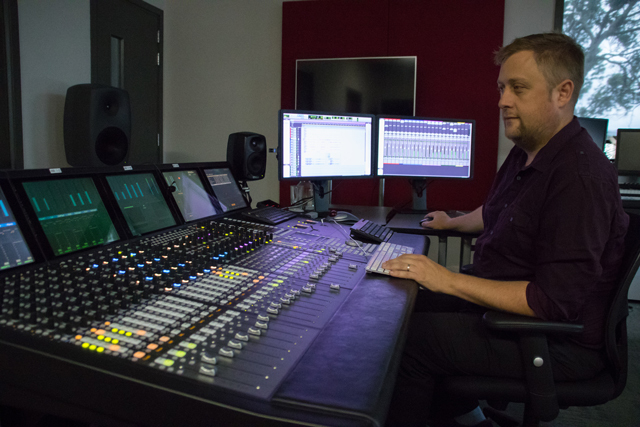 Being based in Miramar, Mike has also been called upon to provide post-production audio services for a number of local short films and can be frequently seen running the sound for musicians performing in Wellington’s vibrant live music scene.